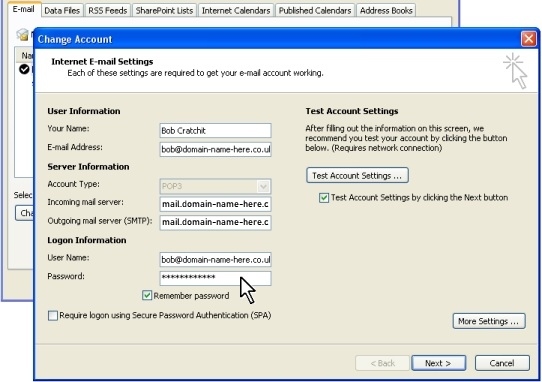 The easiest way to change your email password is to use the webmail facility. We would first recommend that you log into your usual email software as this may automatically collect email using the original password. Go to http://domain-name-here.co.uk/webmail/ (where domain-name-here.co.uk is the domain that you use for your email). This will automatically redirect you to the secure page where you can log in using your email account name and old password. Click on your email address towards the top-right of the screen. 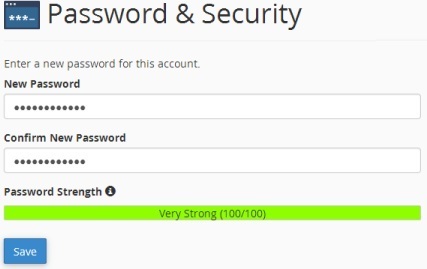 This will bring down a sub-menu where you should select "Password & Security". 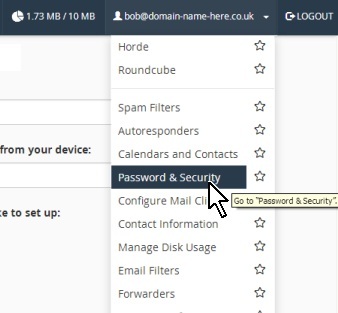 On the Password & Security page, please enter the new password you wish to use or choose a password using the Password Generator option and then click the Save button. Once you have done this, please click LOGOUT towards the top-right of your browser." Lastly, you need to update your password within any email software you're using. 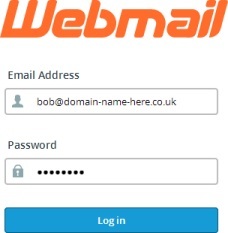 If you have forgotten your password for logging into your email account, you will need to reset this by logging into the control panel for your account at http://domain-name-here.co.uk/cpanel/ (where domain-name-here.co.uk is the main domain for your account). You will be automatically redirected to a secure page where you can log in. Once you've logged in, click "Email Accounts" in the Email section and scroll down towards the bottom of the page. You will see all the email accounts listed and an option to change the password towards the right of each account.